If you can sew a straight stitch with needle and thread you can make this simple pattern. So easy and simple, yet so sweet to make. 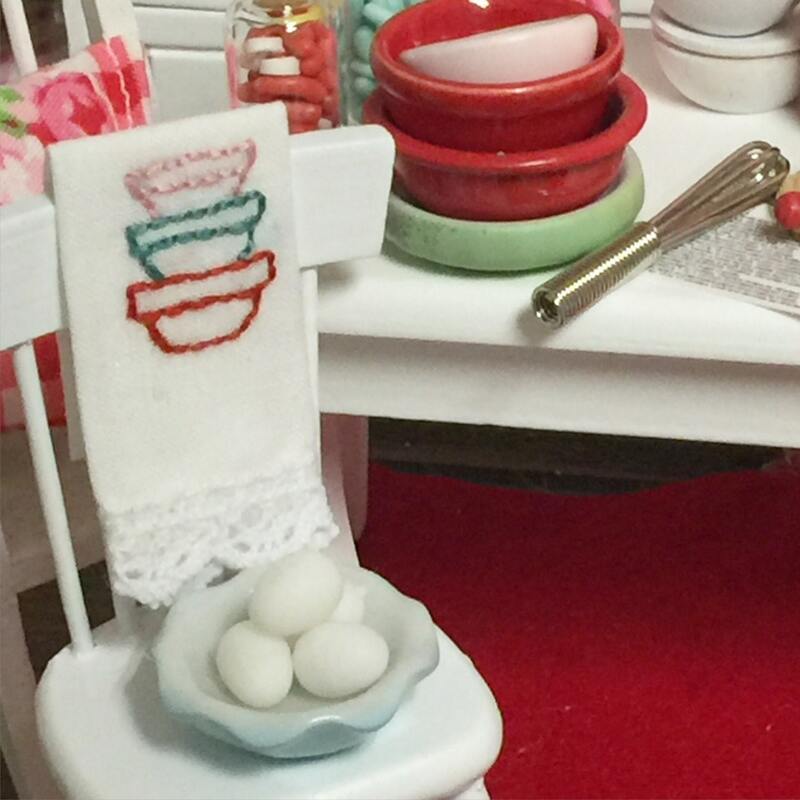 Reminiscent of vintage days past, these designs are made to brighten a little dollhouse, vignette, or kitchen shelf with small decor. 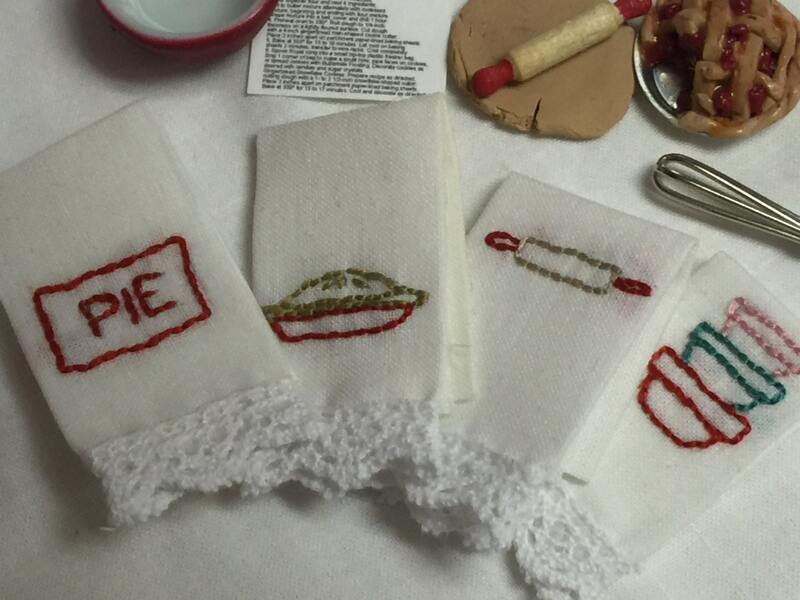 You don't have to have a dollhouse to want to make these little kitchen towels. I have a little shelf in my kitchen for display and I change out the little vignette to show off goodies for each season. These designs are quick to embroider and make. Step by step guidelines and pictures to help you make these designs. 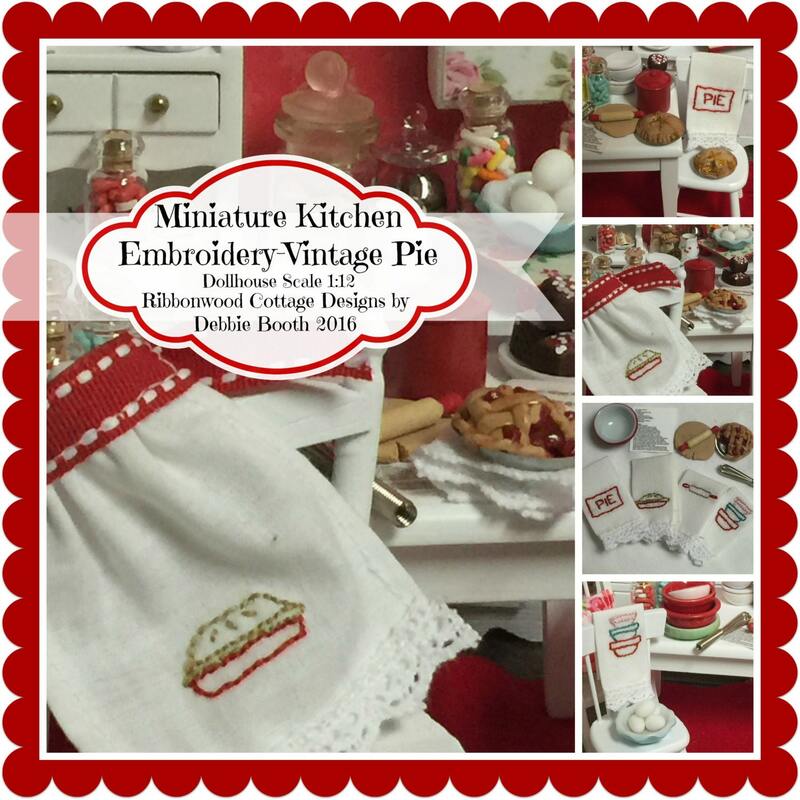 There are 4 embroidered pattern designs, and two patterns for a kitchen towel and a miniature apron. 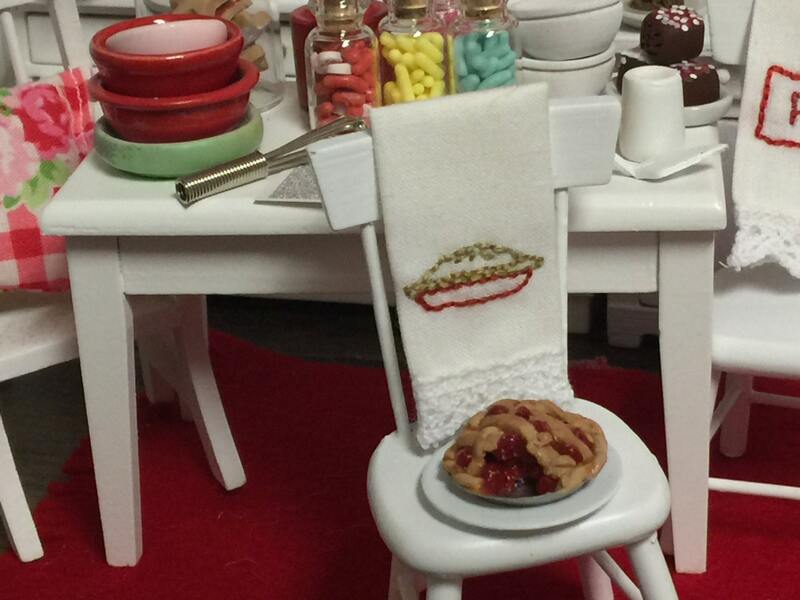 Any of the designs can be on the kitchen towels or the apron. I show you how with photos. 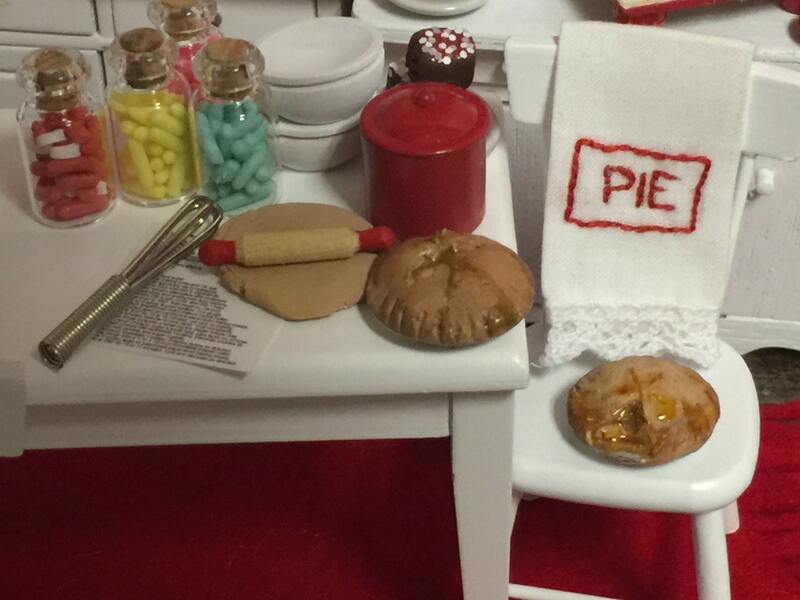 You only need a few things to make these cute kitchen accessories. 1 yard 1/4" ribbon for waist band of apron. Join me as I show you how to make a quick little embroidered project. This would also be a great mommy and me project. The stitching I show you is so simple. My mom taught me this embroidery stitch when I was 4. She wanted to keep me quiet during church (my dad was a minister) so she taught me stitching, sewing, handwork....and then proceeded to let me be creative in my stitching. Now those same sewing techniques I'm teaching to others.